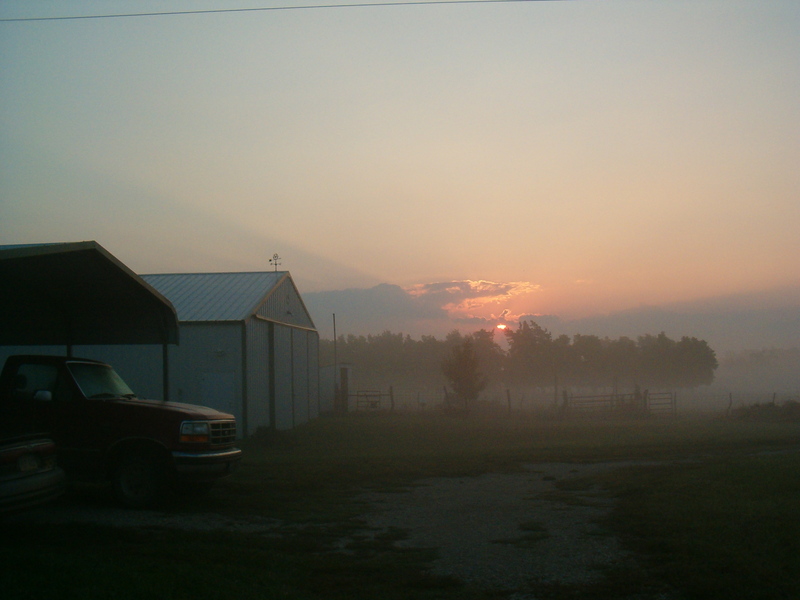 Sunrise and fog on our farm. Blessed peace kissing hope, if only we would allow her to blossom without terror upon a single doorstep. We must believe. Without faith in all that is good, we lose the glory of her being. It is. I love the country. Looks so very peaceful – nicely done. Such a lovely serene image.